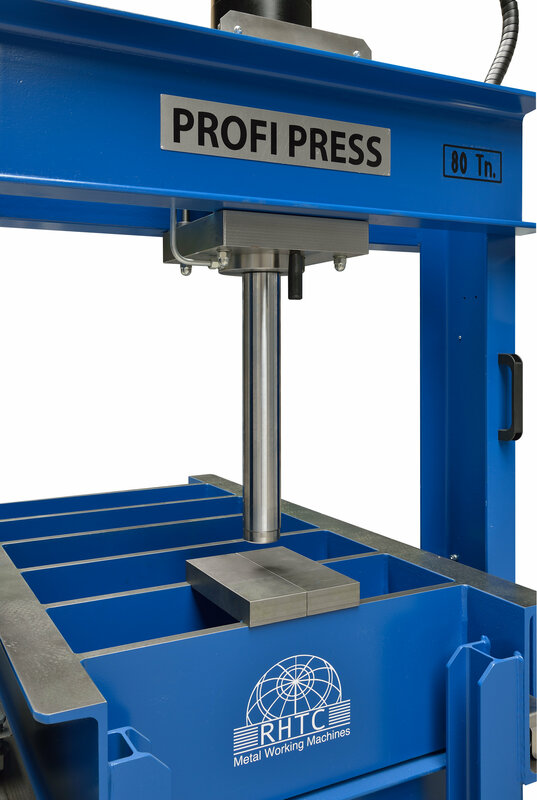 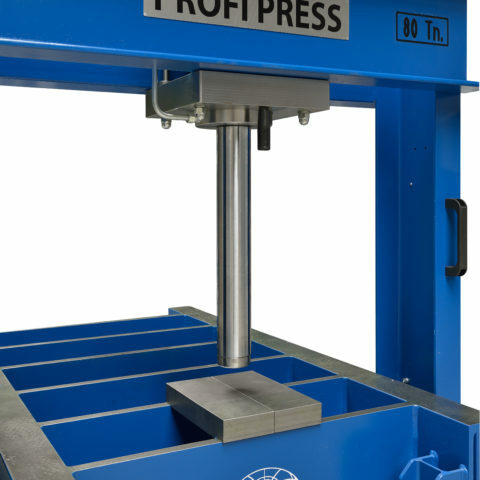 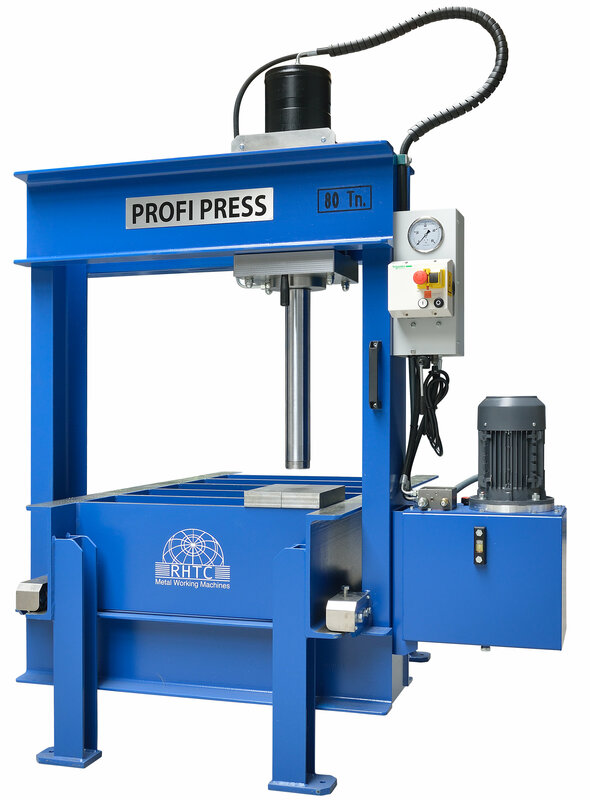 This hydraulic portal press is the smallest portal press in our range with a tonnage of 80 ton and a motor power of 4 hp. 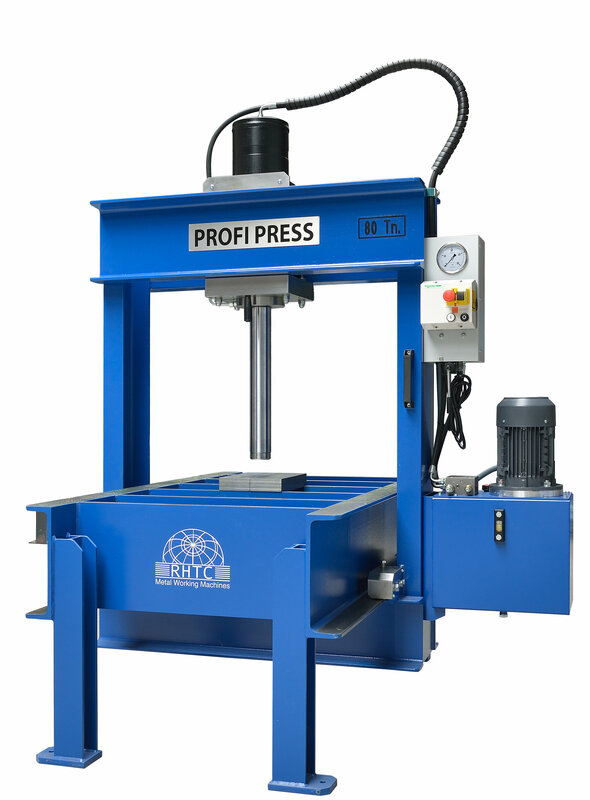 This press is equipped with a fixed table and a movable frame (longitudinal) and a movable headstock (lateral). 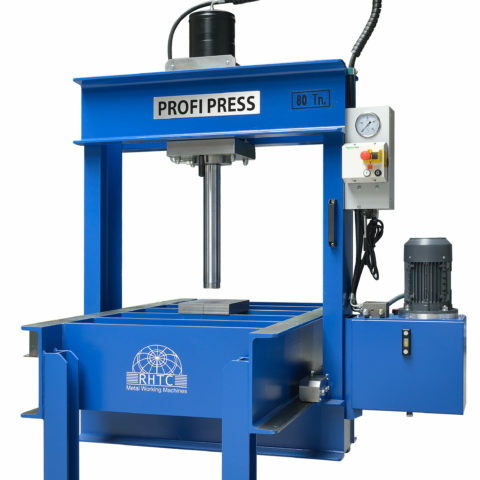 By manually moving the frame and cylinder, the different straightening points of the material can be easily accessed. 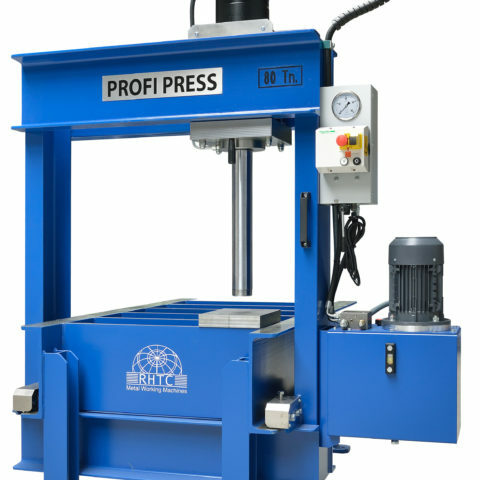 This hydraulic portal press is eminently suitable for pressing and straightening heavy products: the heavy material can be placed on the table with a forklift and by moving the frame and cylinder the material can be reached.